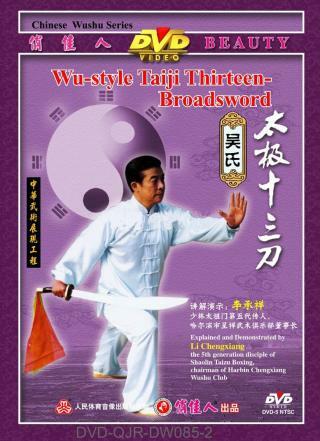 Wu-style Taiji Broadsword is a kind of short weapon of the Wu-family-style Taiji series, with its techniques include cut, hack, chop, intercept, raise, uppercut, thrust, slice, draw, block and sweep. The movements of Taiji Broadsword are continuous, clear and smooth. The routine shows the double features of hardness and toughness with softness and looseness dwelling in. It has only 13 pithy formulas in the broadsword tree, in fact, it can be divided into thirty-eight movements, the time duration is two to three minutes.